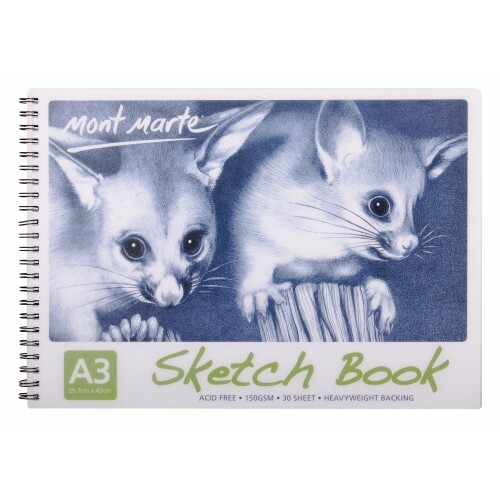 The Mont Marte Sketch Book range offers a fine tooth 150gsm paper. Suitable for use with a wide range of dry media such as pencil, charcoal and pen. Heavy duty backing card minimizes bowing and offers a sturdy drawing surface. Suitable for all levels of artists.